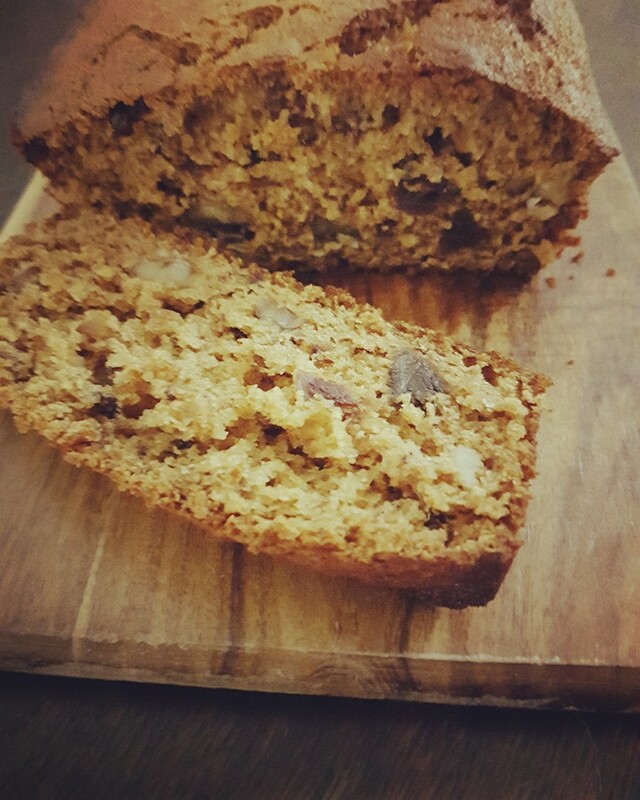 Date and Walnut Loaf is an old favourite of mine. People don't seem to make it much anymore, with cakes such as banana and carrot seemingly more popular. This loaf reminds me of elderly great aunts and uncles visiting for afternoon tea on a Sunday, when I was a kid. I always think that the best way to enjoy it is to slather it in heaps of lovely butter. Some would suggest that this is not very healthy but really, if you are already eating cake, what's one more nutritional sin? If you find that the top of the loaf is browning to quickly whilst it is baking, simply place a sheet of foil loosely over the top. 1. Preheat oven to 160 degrees. Grease and line a loaf tin. 2.Place chopped dates in the bowl with the kneading blade. 3.Mix the bicarb with the boiling water and pour over dates. Allow to sit for 1/2 hour. 4.Place all the remaining ingredients except the nuts, in the bowl. 5. Select Pastry P1 for 1.30min. 6. After 1 minute, stop the machine and scrape down the sides. Add the nuts and resume the programme. 7. On completion of the programme pour the batter into the prepared tin and smooth the top. 8. Bake for 45 minutes or until loaf tests cooked with a skewer. 9. Allow to cool for five minutes in the tin and then turn out onto a cooling rack. 10. Serve hot or cold with or without butter. NOTE - You could chop the dates in the bowl before adding the water but they do tend to stick to the blade. If you are going to do this I would recommend spritzing the bottom of the bowl and the kneading blade with cooking spray first. I prefer to chop my dates by hand because it only takes a minute and I can control the size.